Brand Hi-Flo Filtro, one of the largest filter makers for motorbikes. Made in Italy. 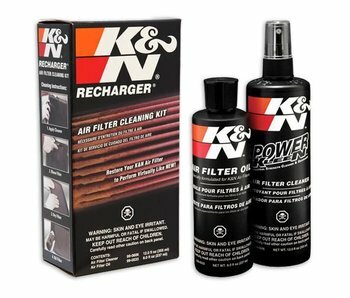 This filter is washable and reusable, same cleaning procedure as a K&N filter. Direct replacement of the original filter, within the airbox.